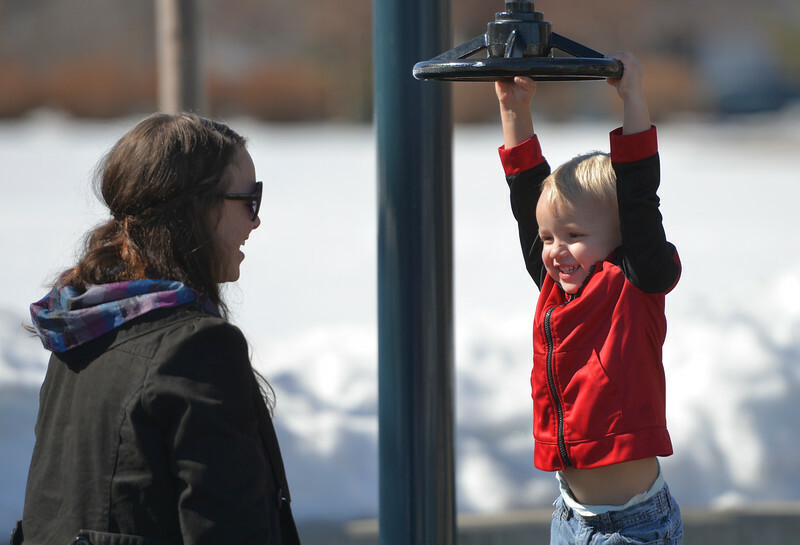 Bridget Brinkerhoff, left, watches as her son Brock Brinkerhoff, 2, spins on playground equipment at Whitney Commons Park Tuesday, March 13, 2018. Wednesday will be sunning with a high of 53 degrees, chances of rain and snow are expected Thursday and Friday. 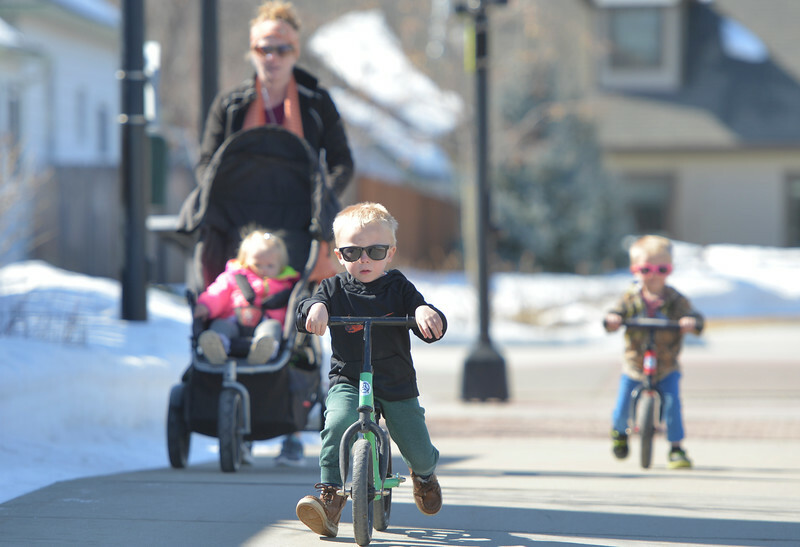 Three-year-old Grayson Lee pushes ahead of his mother, Jodi Lee, and siblings at Whitney Commons Park Tuesday, March 13, 2018. Wednesday will be sunning with a high of 53 degrees, chances of rain and snow are expected Thursday and Friday. 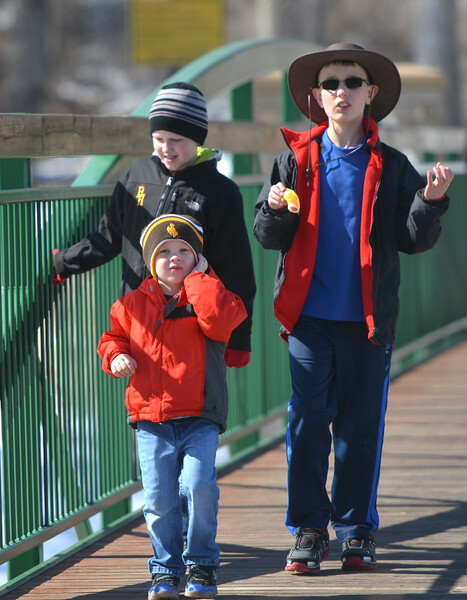 Children, from left, Paul Lobdell, 6, and Carson Norling walk across the Goose Creek with Danny Lobdell, front, 4, at Kendrick Park Tuesday, March 13, 2018. Wednesday will be sunning with a high of 53 degrees, chances of rain and snow are expected Thursday and Friday. 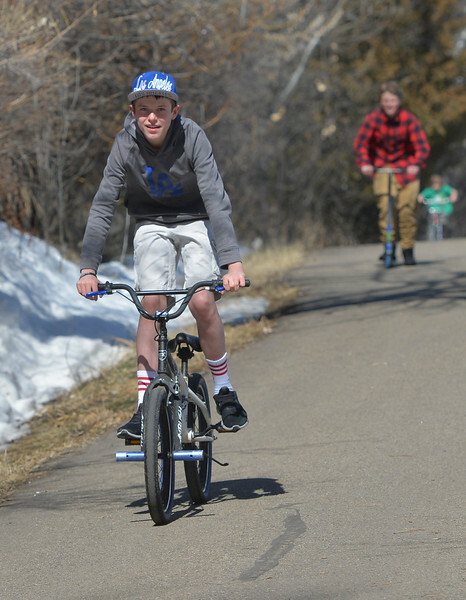 Thirteen-year-old Kaleb Kethman zoom down the hill with Cody Anderson following at Kendrick Park Tuesday, March 13, 2018. Wednesday will be sunning with a high of 53 degrees, chances of rain and snow are expected Thursday and Friday. 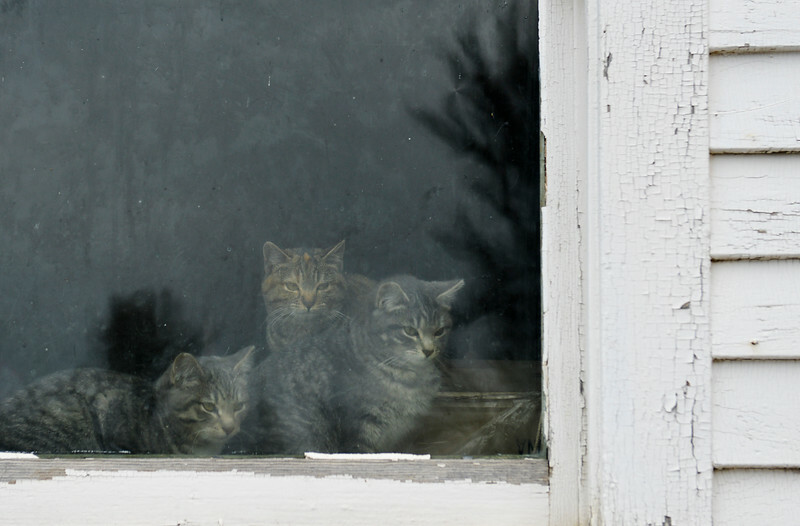 Barn cats look out of a an old school house at a ranch near Sheridan Thursday, March 15, 2018. 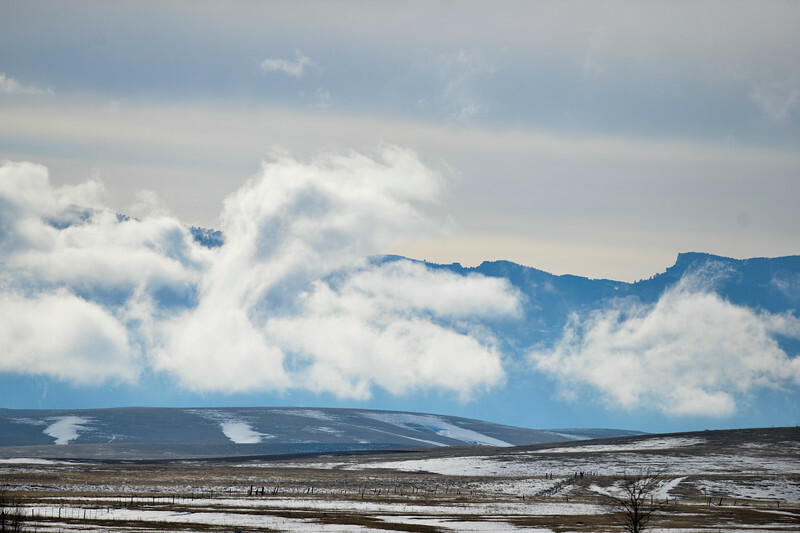 Clouds break up in front of the Bighorn Mountains late Friday, March 16, 2018. Story resident Gary Senier scans a nearby tree during the Bighorn Audubon Society’s monthly Birding at the Brinton event in Big Horn Saturday, March 17, 2017. 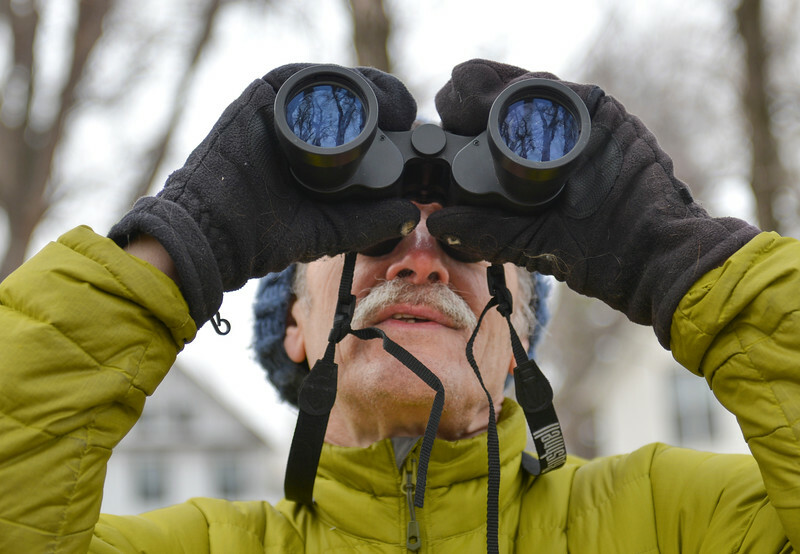 The Sheridan area sees migratory birds in March, notably, the sandhill crane. 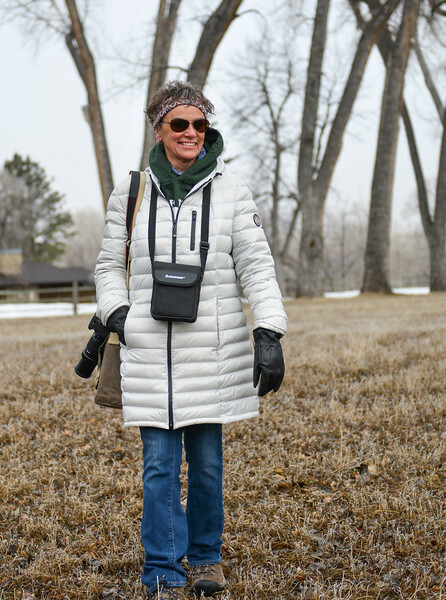 Joanne Puckett walks with her camera and binoculars during the Bighorn Audubon Society’s monthly Birding at the Brinton event in Big Horn Saturday, March 17, 2017. The Sheridan area sees migratory birds in March, notably, the sandhill crane. 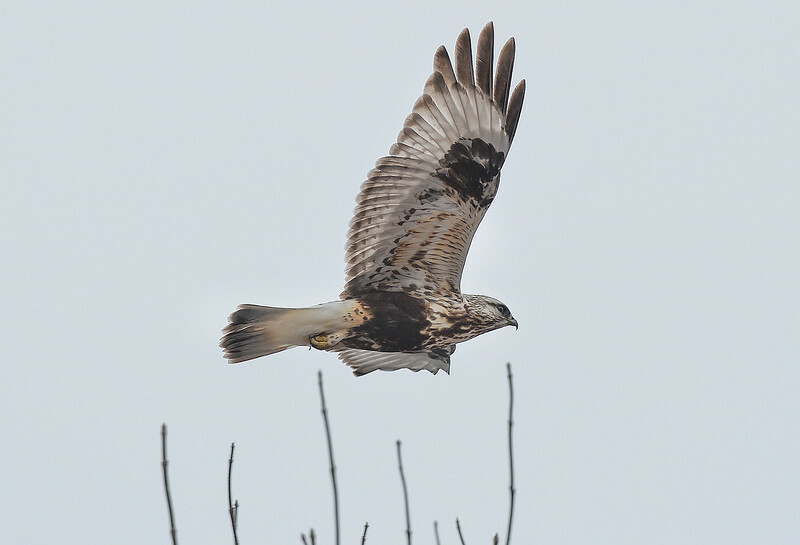 A juvenile rough-legged hawk flies between trees during the Bighorn Audubon Society’s monthly Birding at the Brinton event in Big Horn Saturday, March 17, 2017. The Sheridan area sees migratory birds in March, notably, the sandhill crane. 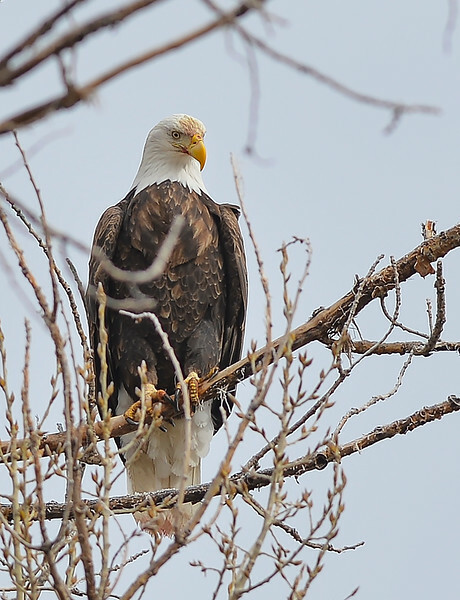 A bald eagle looks out from its perch during the Bighorn Audubon Society’s monthly Birding at the Brinton event in Big Horn Saturday, March 17, 2017. The Sheridan area sees migratory birds in March, notably, the sandhill crane. 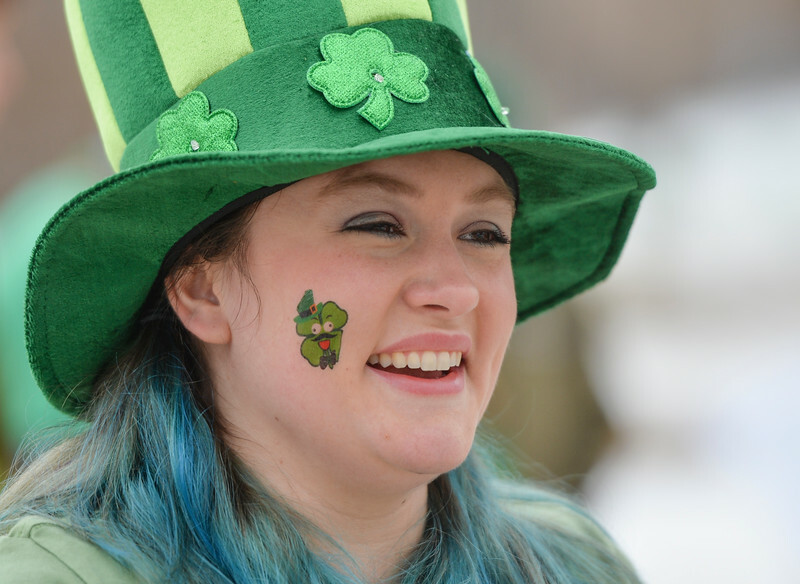 Christina Trapp visits prior to the race during the Sheridan Jaycees’ annual “Run ‘Till your Green” fun run/walk at Kendrick Park Saturday, March 17, 2017. Trapp won the best dressed person contest. 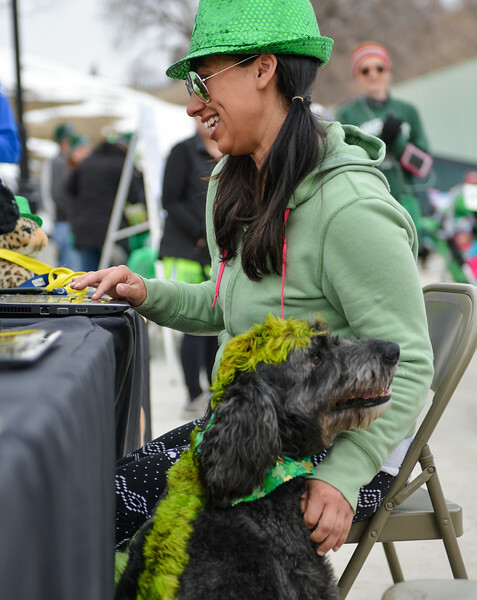 Sierra Cahl registers for the race with her dog Tucker during the Sheridan Jaycees’ annual “Run ‘Till your Green” fun run/walk at Kendrick Park Saturday, March 17, 2017. 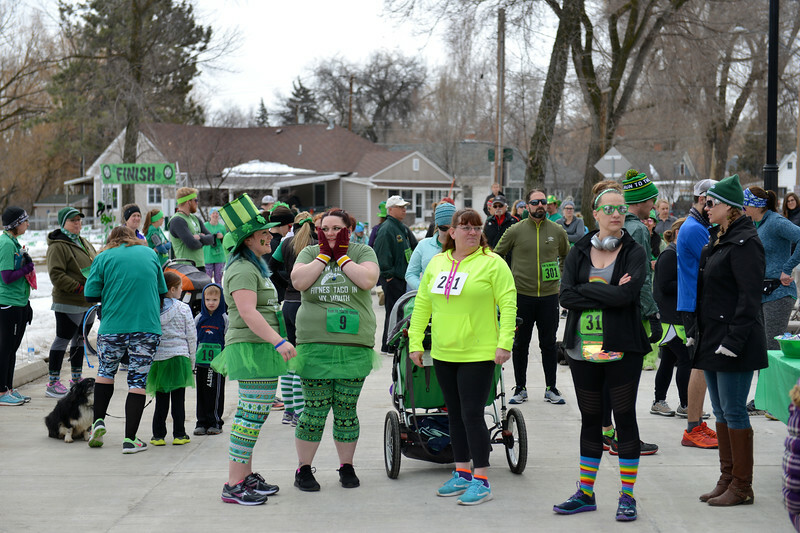 Race participants visit at the registration area during the Sheridan Jaycees’ annual “Run ‘Till your Green” fun run/walk at Kendrick Park Saturday, March 17, 2017. 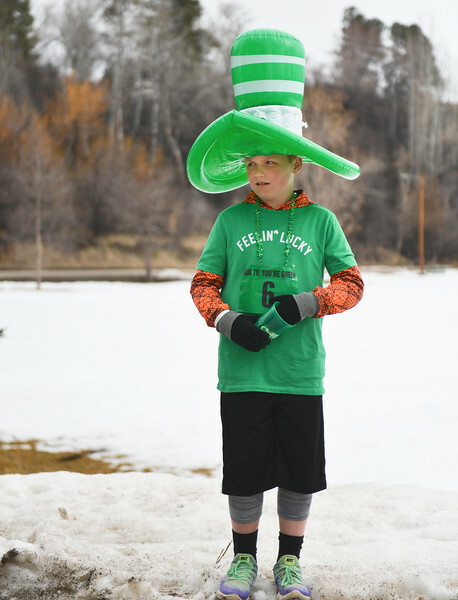 Ten-year-old Drew Schneider waits for the race during the Sheridan Jaycees’ annual “Run ‘Till your Green” fun run/walk at Kendrick Park Saturday, March 17, 2017. 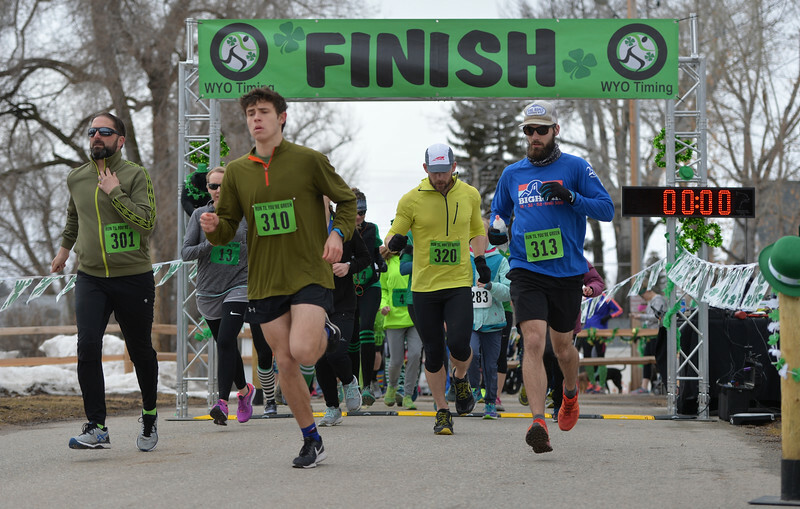 Runners start the race during the Sheridan Jaycees’ annual “Run ‘Till your Green” fun run/walk at Kendrick Park Saturday, March 17, 2017.